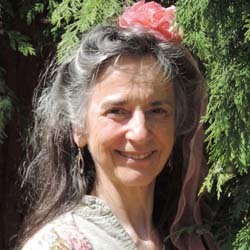 In her work with Focusing, Feldenkrais® and related somatic modalities, Katarina Halm develops a unique lesson plan for each student and each group. With a deep interest in how language emerges in our movement, dreams and daily living, Katarina offers seminars integrating theories from Sheets-Johnstone, Gendlin, and Ullman. Nurturing a love of silence and social responsibility, Katarina facilitates Focusing for Earthquake Preparedness. - Inner Relationship Focusing (IRF), as created by Ann Weiser Cornell and Barbara McGavin. - Meditative Listening, a style of Focusing developed by Rob Foxcroft. - Active Pause (AP), an extension of Focusing pioneered by Serge Prengel. Katarina resides in Canada. Her writings include M.A. thesis: Resonance and Dissonance in the Learning Process (ITP 1994), and a model of natural process action steps (The Focusing Connection 2009, FOLIO 2010, FOLIO 2013).